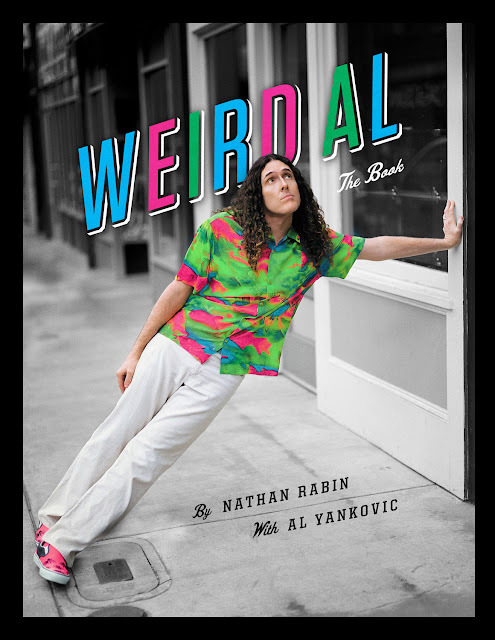 Weird Al: The Book (2012) is an excellent oversized coffee table book, filled with high quality full-color photos from throughout Yankovic's career. "WA"Y has always been one of my heroes—barring a period in my teens when I was "too cool" for him (I came back around). Al is a true artist (regardless of the fact that much of what he does is parody) whose work spans not just music, but videos, TV, film, and books—an endlessly clever parodist and, in my eyes, a genius. The writing isn't terribly in depth but all the major highlights are covered, albeit sometimes briefly. That's really my only complaint—as a longtime listener dating back to playing his cassettes on my boombox in the mid to late 80s, I just wanted more. Regardless, this is an essential book for fans, one that took me longer than it should have to pick up.